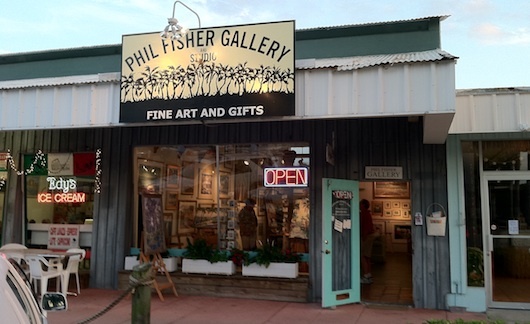 Phil Fisher has been creating fine art professionally in Naples Florida for the last 40 years with watercolors and oils. This gallery is located in Crayton Cove right by the City Dock. In his paintings you might find a scene of Italy, Mexico, The Bahamas, Ohio, Florida and even Northern Michigan. His work often features sailboats, islands, the ocean and nature in a bright, colorful and happy way. He and his wife, Natalie, own their own galleries in downtown Naples.